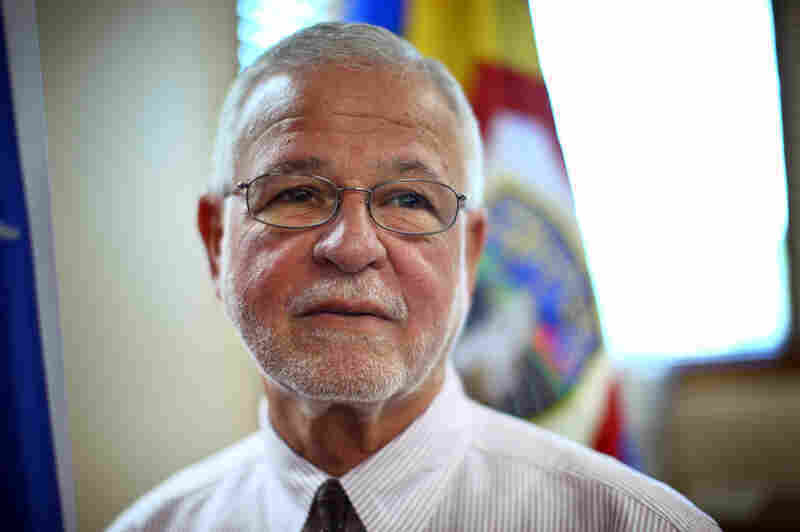 'Don't Give Up On Us': Puerto Ricans Wrestle With High Crime Puerto Rico's per capita murder rate is six times that of the U.S. as a whole. And with violence escalating, many residents are fleeing to the mainland. Still others hope to turn their home around. In search of brighter opportunities, Puerto Ricans are fleeing the island for the U.S. mainland. 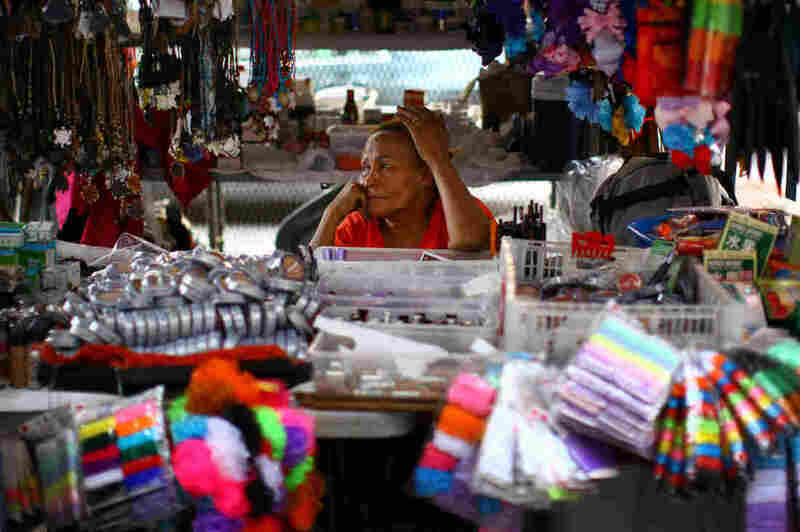 Daysi Pena has sold cosmetics and accessories in San Juan, Puerto Rico, for 12 years. She is now thinking of moving to New York to escape the escalating violence on the island. There was a shooting one block from her stall a day before this photo was taken. Hector Pesquera, the police superintendent for the island, says tackling crime has been challenging. 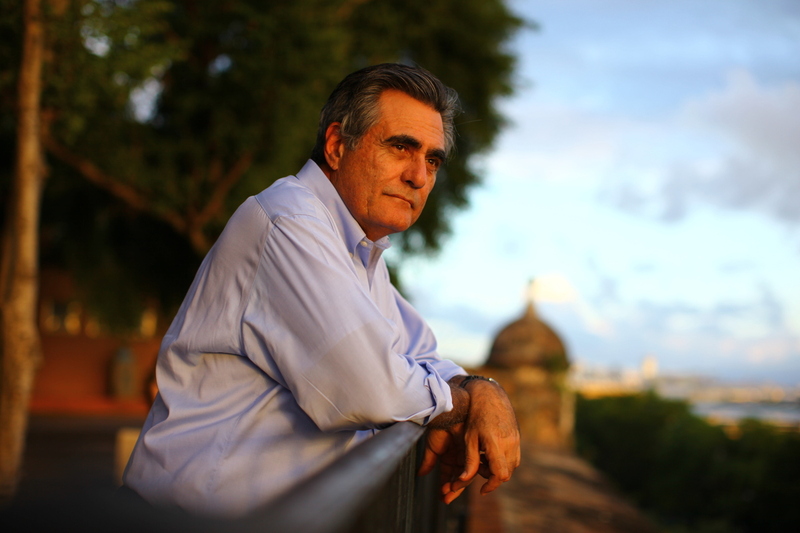 Luis Romero looks out over the ocean to a view that includes the Coast Guard station where his son, Julian, was in the auxiliary. Romero started the anti-violence organization Basta Ya after Julian was murdered. 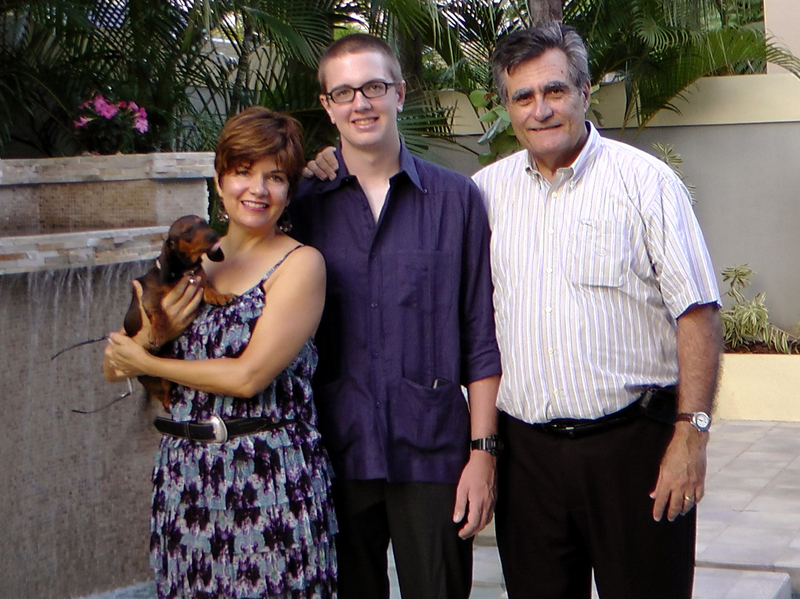 Julian Romero (center) is seen with his parents, Marie Rodriquez and Luis Romero, on his 20th birthday, April 18, 2011. He was stabbed to death later that night while celebrating with his girlfriend in the Condado neighborhood of San Juan, Puerto Rico. "Sometimes, as a father, I feel torn," he says. "If I had moved, he wouldn't have been killed. Maybe or maybe not."